Gallitzin, Cambria County, Pennsylvania 1901. 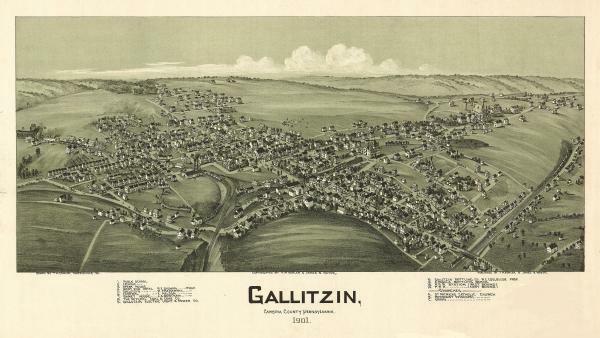 Drawn by T. M. Fowler Birds eye view of the town of Gallitzin, with numbered identification legend which includes the following: 2. Opera House 8. Mitchell Coal and Coke 10. Gallitzin Bottling Co. 12. Padula Bottling Co.